Ryanair have announced weekly flights to Cuneo during the 2008/9 ski season. Flights are available from the Stansted and Birmingham from 20th December, and prices start around the £27.00 mark. Cuneo is the capital of the Piedmont region of Italy and is close to Turin. This is great news for those who enjoy the Piedmont ski resorts and also for those who have a holiday home in this beautiful part of Italy. 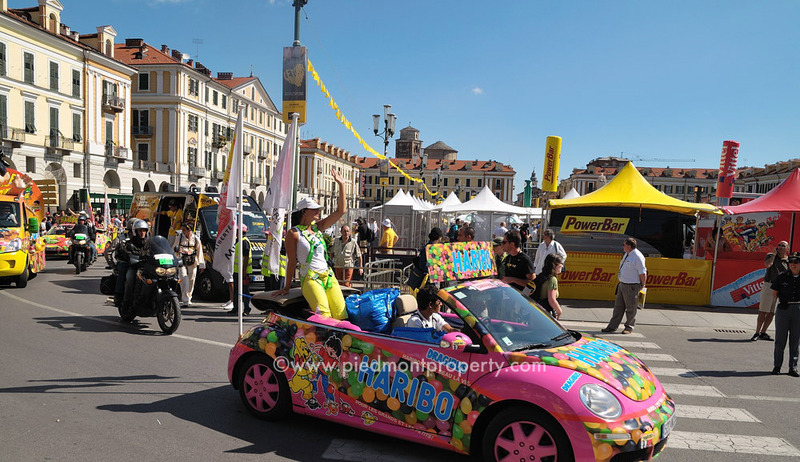 Most of our properties are based in the increasingly popular Langhe wine region (the home to Barolo wine) and while the drive to Turin airport is by no means difficult, Cuneo is far easier and does not involve any motorway. The journey takes about an hour from Alba. All in all great news for those who have a property here, or just enjoy the wonderful skiing facilities in the Cuneo area. This entry was posted in Piedmont region and tagged Cuneo, Flights, Ski resorts on Tuesday September 9th, 2008 by Clive Wisbey. Cuneo was the host to stage 16 of the Tour which involved a 157 km ride to Jausiers in France and included a grueling 2802m climb to the top of the Col de la Bonnette. Although the stage was won by Cyril Dessel, the day will be remembered for John-Lee Augustyn misjudging a bend at Bonette and sliding down the side of a mountain. A road side fan came to his rescue but I have no idea what happened to his bike, pretty scary stuff. Its a brutal sport cycling. I have to admit to being a little disappointed at Mark Cavendish pulling out earlier in the week, but he did win four stages and I think Britain has a true cycling star in the making. If you’ve never been to a stage of the Tour before its something well worth doing even if you’re not keen on cycling. 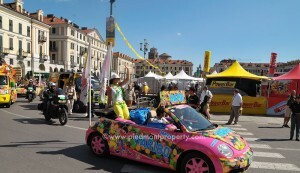 Events kick off about two hours before the race with a massive carnival/procession which includes hundreds of cars in bright colors and strange styles, people dressed up in all sorts of costumes, in fact great entertainment for the children. I’ve included a selection of pictures just to give you an idea. The atmosphere in the town was electric. 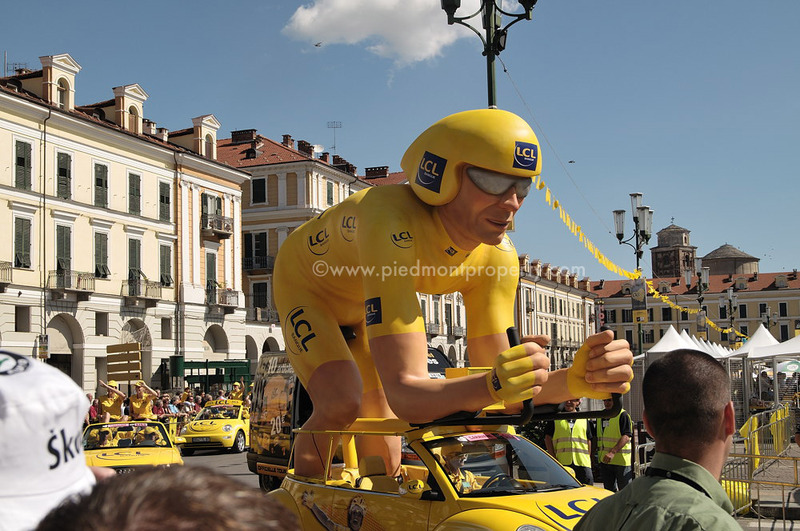 This entry was posted in Leisure, Piedmont region and tagged Cuneo, Cycling, Mountain stage, The Tour de France 2008 Cuneo on Tuesday July 22nd, 2008 by Clive Wisbey.